Mikes On Fire - DemonFM Vault. show from Mikes On Fire - DemonFM Vault. by Mikes On Fire - DemonFM Vault. Scott Cohen - (Iron Cross) - (2011). Deniz Akdeniz - (Tomorrow, When The War Began) - (2011). Stacy Keach - (A Turtle&apos;s Tale) - (2011). Ian Abercrombie - (Rango) - (2011). Gunner Wright - (Dead Space 2) - (2011). James Earl - (Glee) - (2011). Gino Anthony Pesi - (Battle: Los Angeles) - (2011). Jason Flemyng - (X Men: First Class) - (2011). 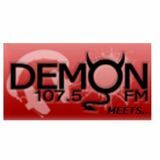 Here is a vault of podcasts from Demon FM from 2009-2011 that were organised, produced and edited by Matt Horn and David Murphy - featuring many of Demon FM&apos;s students and community members - (current and ex-alumni).